SPRING 2019 Recreational Soccer Season! 2019 Spring Registration is Closed! Please email brscac@bradenriversoccer.org to be added to our waitlist! Please review the information below, it should answer most of your questions regarding the upcoming 2019 Spring Rec Soccer Season. AGES: 4 - 18 (must be 4 by March 1, 2019) At BRSC, Everyone Plays! All necessary information will be sent via email. Volunteer coaches are always needed! Please note that the Club does not honor special requests for players to be with specific coaches or allow all or partial teams to remain together. We found that the teams that were doing so got an unfair advantage and it was causing some very lopsided games. As such, we will allow the coaches to keep two players, their child and an assistant coach’s child. If there is not an assistant, the coach can reserve one other player. We do not anticipate making exceptions to this. If you have made a request for a specific coach on your registration form, we will not be considering those and will not be sending individuals emails out letting you know that. We will however honor requests for specific practices nights and, as always, will do our best to accommodate those requests. We also try our best to accommodate requests to be placed with another player if those requests are reasonable. PRACTICE SESSIONS - Begin the week of 3/4/19. Generally, teams practice Monday thru Thursday Eves beginning at 6:00pm but some may start earlier or later. Sessions will be at our fields located at *Lakewood Ranch Park. Players are required to wear shin guards at all practices and games. They should also bring a ball with them to each practice. GAMES - Spring season begins on Sunday 3/17/19 and the last game is Sunday 5/19/19. Please Note: U14 - U18 may play games on Saturday and/or Sunday at either Blackstone Park* or GT Bray*. Volunteer Hours: unless you opted out and paid the $50, you are required to give 2 hours per child max of 4 hours during the season. This will include working the concession stand, working in the office, being a team parent, helping with practice/games when the coach needs it. Picking up pictures or trophies for the team, helping with field setup and/or teardown. RainedOut: This makes it easier and quicker for everyone to get notified that the fields are closed. To sign up go to RAINED OUT, you can sign up for text and/or email alerts when the fields are closed. 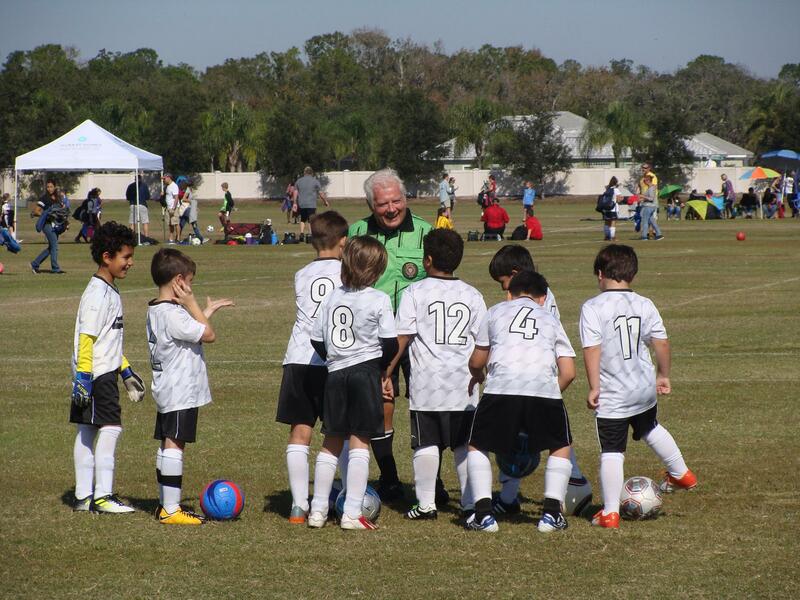 We look forward to another successful Recreational Soccer Season at Braden River Soccer Club.